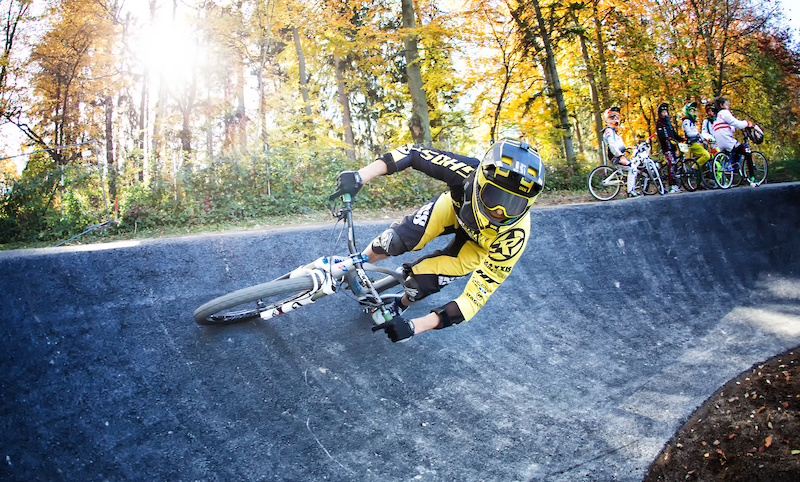 Initiators, politicians, and lots of riders came together in Neunkirchen (Austria) for the unofficial opening of the first ever pump track in Austria and enjoyed a golden autumn day – Lap after lap. Ridden on bikes, boards and scooters. 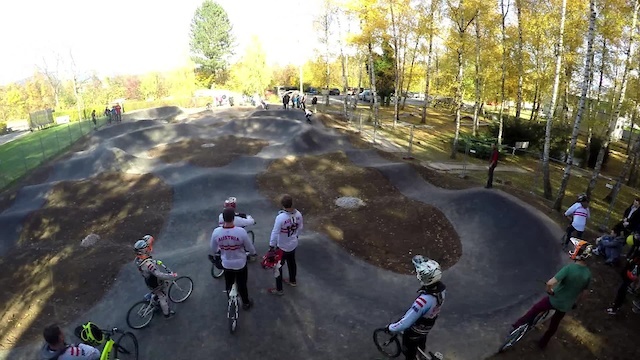 As a highlight of the opening session also the Austrian BMX Racing National Team with their coach, Hannes Slavik, stopped by and were supported by his hometown BMX Club Vösendorf with some proper riding action. 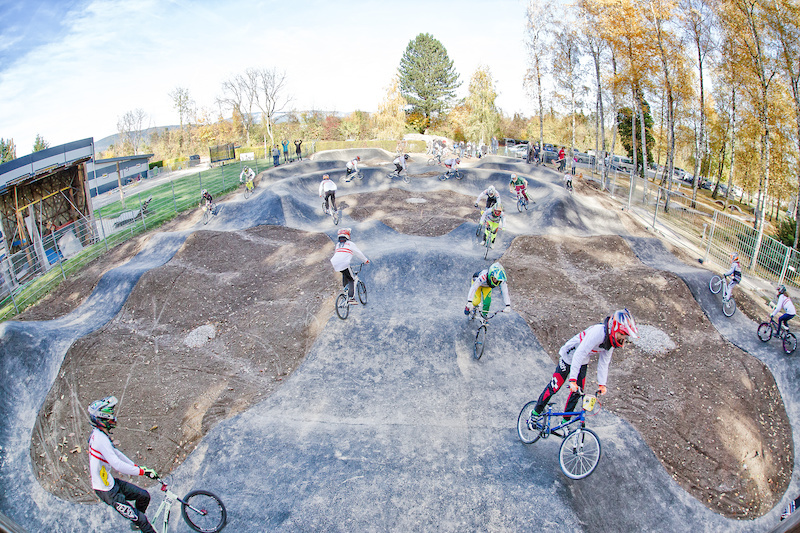 "The Austrian Bike Community and especially all the kids need more places like this to shred and increase their skill level. I really hope that Neunkirchen is just the beginning and more projects will follow soon. 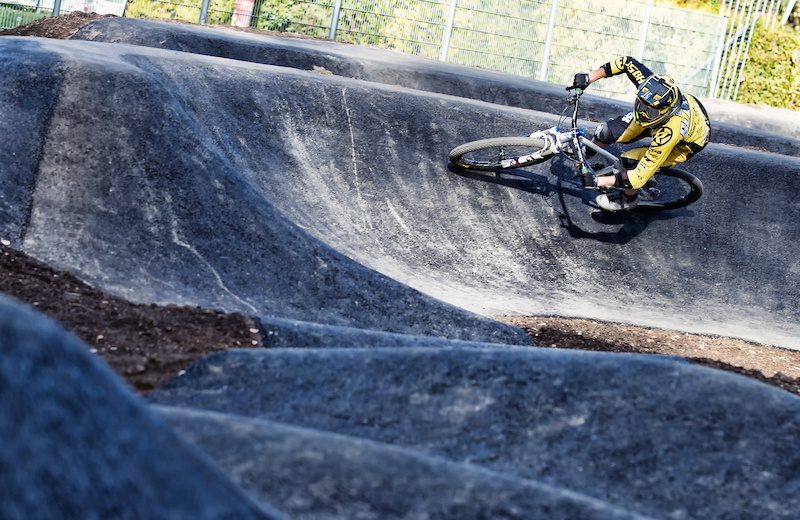 It would be awesome for our sport if some big cities would realize the potential and the wide range of people that can be attracted by pump tracks. Me and all the kids are glad to have such an amazing new spot to ride. Thanks to Neunkirchen and Velosolutions," said Slavik. The project in Neunkirchen hasn’t been always easy from the political angle, but all is well that ends well and in the end the steadfast and passionate supporters around the project leader, Peter Teix, and Initiator, Heinz Past succeeded. In the sense of the Austrian national anthem; "Land of mountains, land of rivers, land of meadows, land of cathedrals, land of hammers, promising,“ the future for more pump tracks is indeed promising. 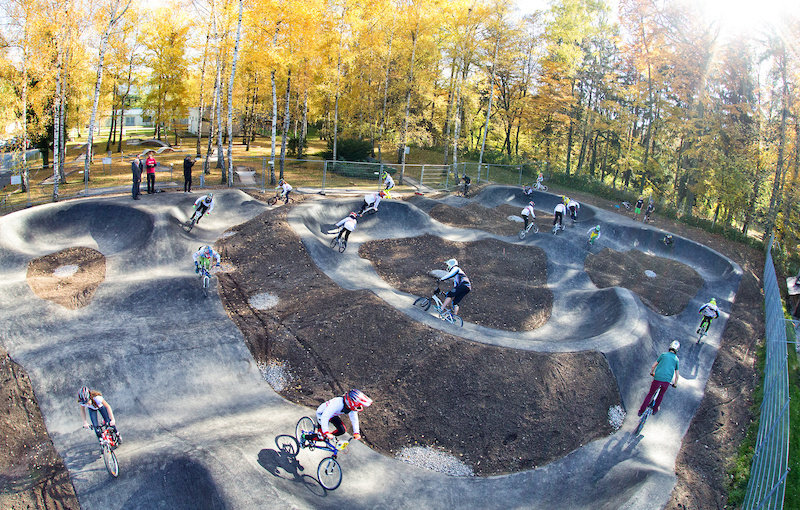 Many visitors expressed their confidence that Austria could become a country of pump tracks as well, and are considering the capital city Vienna. Finally! Let's spread them over the country like soccer fields! Yeeeeeaaaaah! I guess i nees a day off. Lots of day offs.